If there’s one thing that you own that you want to keep in top working order, it’s your car. You car is your lifeblood. It’s the way you get to work. It’s the way you go out to play. It’s how you shop, and drop your kids off to school. Many times there’s no room for error or miscalculation when it comes to the patterns you have with your vehicle. Which means maintenance is going to be a top priority, which means you should use fuel additives occasionally, change your oil regularly, clean your air intakes, pay attention to tire pressure, and keep your engine coolant full at all times. Most general car consumers don’t know much about fuel additives, but it doesn’t mean that they aren’t good for your car. In fact, the use of right additives in your gas tank can help your gas mileage as well as keep your engine running better. Add to that, you’ll even get benefits like having a car that starts up more easily in cold weather conditions. You can either learn to change your own oil, or perhaps get it taken into a shop regularly, but if you want to tank your car fast, just don’t pay attention to it. Let it get dirty. Let it leak. Let the engine suffer! No, no and no! Oil isn’t even all that expensive, which means regular maintenance is going to be the best way for you to save money in the long run, as an engine can crud out really quickly if there’s an issue with that system. When is the last time you cleaned the air intakes of your car? What’s that – you don’t even know what or where they are? That’s not that uncommon of a response to that questions. So, look into where you air intakes are, and make sure there aren’t leaves and sticks covering them and preventing your heat, air conditioning, and venting system from working. Tire pressure is a big deal when it comes to making your car work with you instead of against you. By knowing how to check air pressure, you can ensure that your tires wear down evenly, your gas mileage is optimal, and your steering acts like it should. 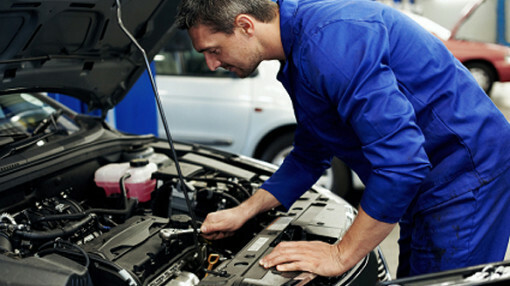 Finally, engine coolant is very important in your cars overall health. Run out of coolant, and you’ll start overheating, and then lots of things can go wrong very quickly. Often, when you see something leaking out from under your car, it’s because coolant is dripping from a crack somewhere as well.